We now know a little bit more about the Kyler Murray situation than we knew yesterday at this time, but that still doesn’t mean we have a very definitive answer at all. Murray took to Twitter on Monday to announce he would indeed be entering his name into the NFL Draft, further throwing into question which sport he will play. Despite tossing his hat into the ring of names, Murray is still expected to consider his future on the diamond, with the Oakland A’s apparently, according to sources, supporting his decision to enter the draft. Why exactly they are OK with this remains to be seen, because at best this just means they will have to pony up extra money right off the bat to get him to avoid playing football. Baseball is the ‘sure’ thing in this scenario, but draft experts have him listed as a first-round pick. Gone are the days where you can do both, so it will be fascinating to see which he chooses and how soon we know what he does. While we got that big off-the-court news, a couple of huge stars were making waves on it. At Cameroon Indoor, unfancied Syracuse came to town to face Duke, and they rolled back the clock with a performance that reminded you of Orange teams of old with a tremendous 95-91 overtime win over the home Blue Devils. 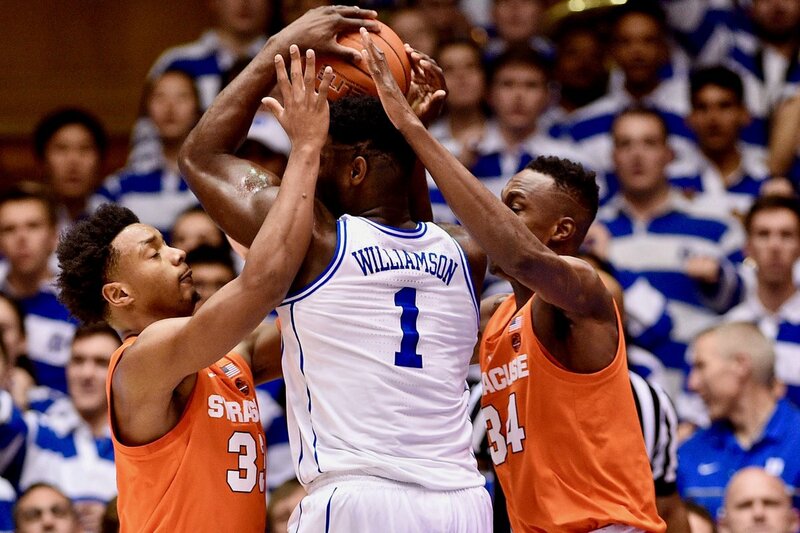 Zion Williamson put up 35 points on the night, but it wasn’t enough for his team to take home the win in the ACC as Syracuse grinded and rattled them with the use of a zone that threw off Duke’s game. That, along with Tyus Battle hitting for 32 points of his own, gave the necessary momentum to the Orange to go out and claim this upset win that will surely move them up a little in the rankings. Both teams are now 3-1 in the conference as it is still early in the going. Zion Williamson is expected to be an NBA star very soon, but one man that is already one is James Harden. On Sunday night The Beard tied Kobe’s record for most games with 30+ points despite struggling. He broke it in style on Monday night with an incredible 57 points in a 112-95 victory over the Memphis Grizzlies. 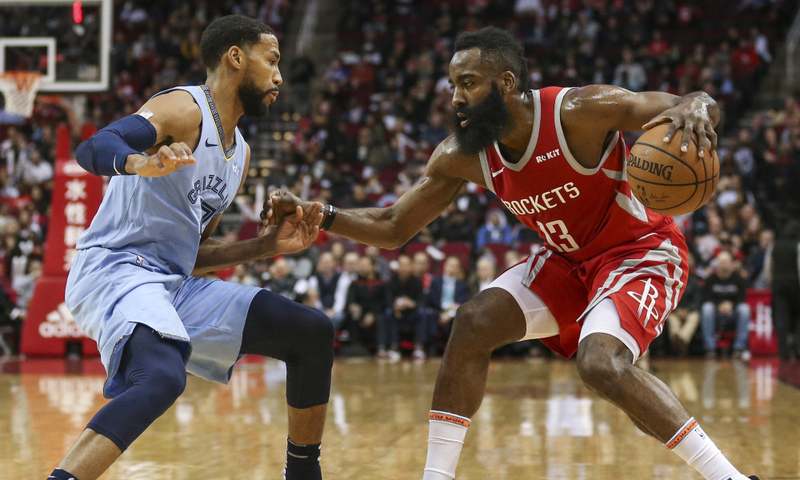 Houston were once again short-handed at home due to injuries, and Harden responded in due course with another typically brilliant showing as his team shook off a slow start to pull away in the middle quarters of the game. He honestly admitted the night prior that had he made 3’s in the win over Orlando that he’d have hit 60. He did his some 3’s on Monday night, and he came very close to hitting that mark. In fact, he had 36 before halftime even! Now, Harden has one man he is looking up to: Wilt Chamberlain. The Stilt had 20 straight games with 30 points or more, all the way back in 1964. It’s a record that has stood for a long, long time, but given the way Harden is playing right now, and the players he is doing it with, would it really shock any of us to see him accomplish it?